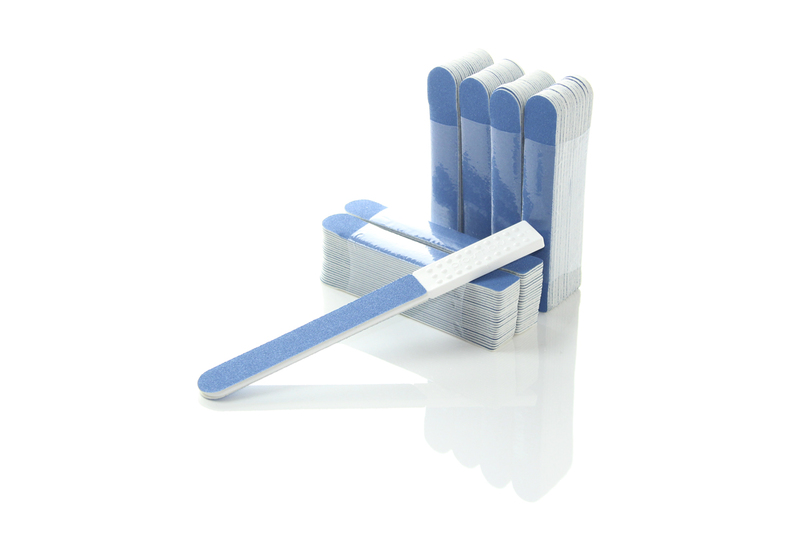 Manicure and pedicure nail files featuring reusable, ergonomically designed handles with disposable abrasive stickers. Handles can be sanitized, disinfected and are autoclave safe. Our cushion nail files are manufactured in the United States (unless stated) from the highest quality materials. These washable files are perfect for shaping and contouring nails. 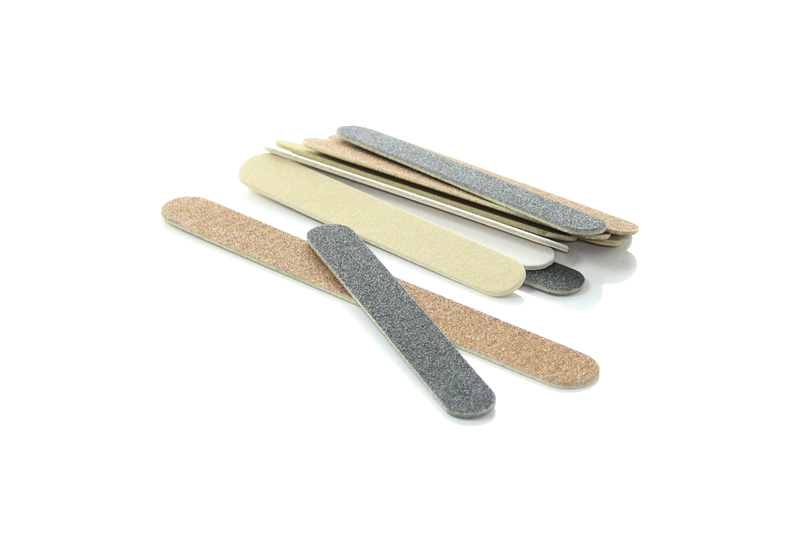 Our double-sided wood nail files and emery boards are manufactured in the United States and are available in many colors and grits. We offer multi-sided blocks and buffers in packs of twelve or more. Use blocks to smooth jagged natural or acrylic nails. 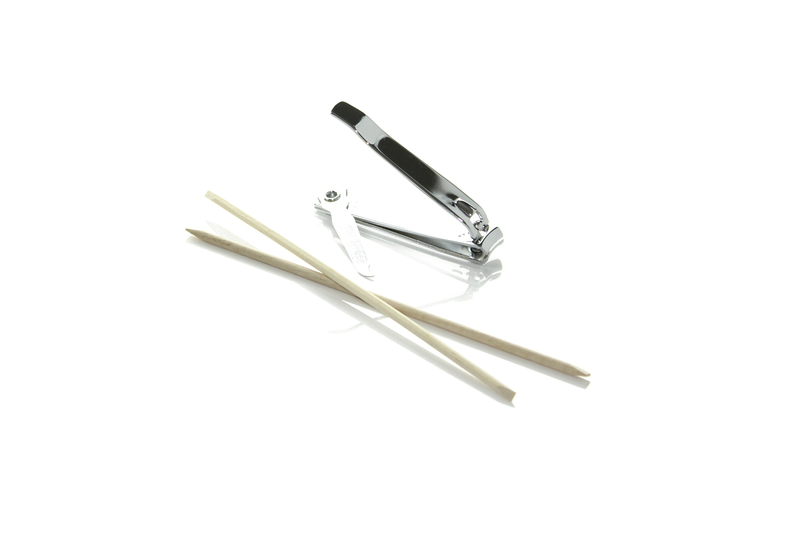 Use buffers to provide supreme high gloss to natural or acrylic nails. 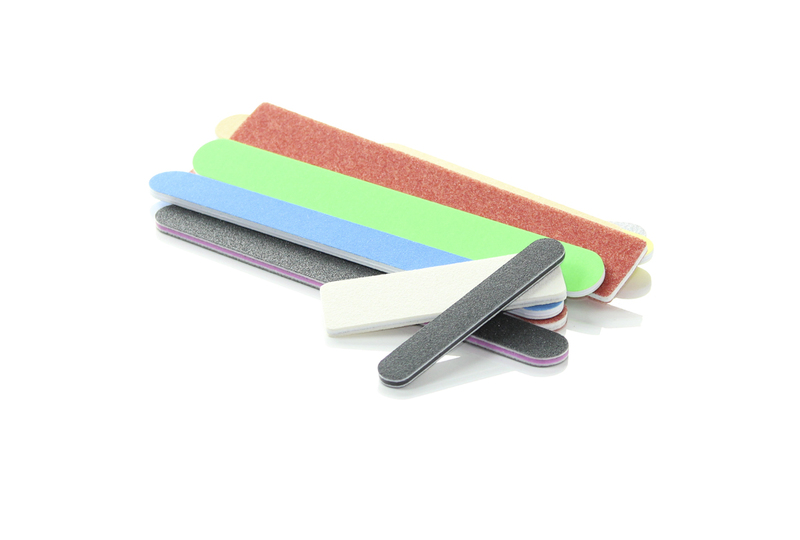 Foam toe spacers and slippers are designed to complement and enhance pedicure services adding that extra touch of pampering to salon and spa treatments. Toe spacers and slippers are available in many colors and styles. Give your hands and feet a salon and spa-like treatment right at home with these must have tools.